Everybody has gone home now so it is left to me to round up the event. The Gibraltar PSA Open was combined with a number of local competitions running over 7 days. 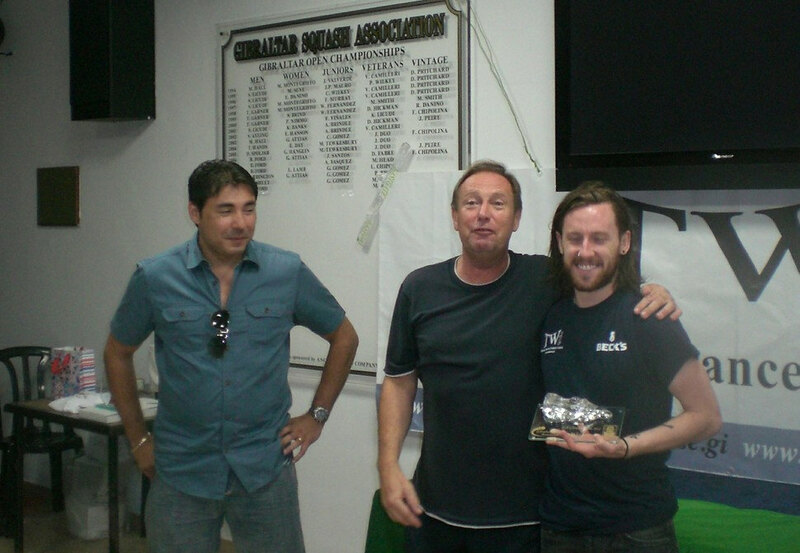 Apart from the PSA professionals there were also teams from the Army and the Andalucian Federation. Over 140 matches were played culminating in final between the number 1 seed, Peter Creed and the number 2 seed Arthur Gaskin of very high quality ending in a hard fought 3-0 win for Peter. In the semi finals Johan Bouquet had to retire with a damaged shoulder in his match against Peter and Dan West finally ran out of steam against Arthur after two five game matches the day before, losing 3-0. Earlier in the competition Gibraltar's two regular coaches Jakob Dirnberger (who got of his sick bed to travel to Gibraltar) and Ben Ford (in his last ever PSA event) surprisingly lost in the first round which was a great disappointment for the home supporters and players. 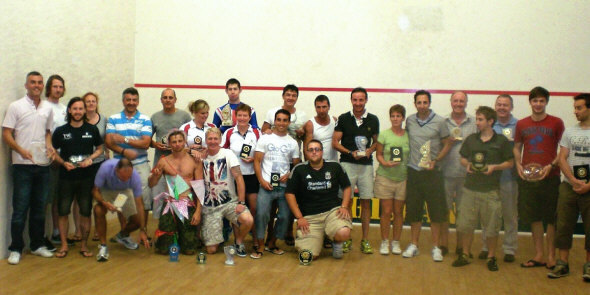 This disappointment as made easier to accept due to the high quality of squash provided by the PSA players and the excellent way all of them integrated into and supported remainder of the Gibraltar Open competitions and socialised with all the other players and supporters. It is alleged but not proven that the winner found himself on one of the Gibraltar beaches in the early hours of Sunday morning. Surprisingly he cannot remember anything that happened after leaving the club at 3am!!! This is the first time Gibraltar has held a PSA event; it won't be the last. Welsh top seed Peter Creed claimed his second PSA title with victory in the inaugural Gibraltar Open. It was a great experience for the local players to take on seasoned professionals in the qualifying competition, but none made it through to the main draw which saw four rounds played over Friday and Saturday. Creed came through to the final with two straight game wins followed by a quick semi-final over Johan Bouquet, who had beaten third-seeded compatriot Geoffrey Demont on Friday. Bouquet was forced to retire after one game, putting Creed through to the final. In the bottom half of the draw Irish second seed Arthur Gaskin also enjoyed untroubled progress to the semi-finals, where he met England's Dan West, who like Bouquet had beaten a seeded compatriot on the first day. West's 80-minute 12-10 in the fifth win over Ben Ford was followed up with a 74-minute comeback win against Reuben Phillips, so he could probably be excused any tiredness in the semi-final, which Gaskin won in straight games. Creed sneaked home 13-11 in the first game of the final, then took the next two 11-7, 11-5 to claim victory in just under the hour mark. "Very happy to come home with my 2nd title," said the champion on Twitter. "Tough match, but fought hard. Win meant allot with Papa In the crowd #emotional." Then this morning he added: "Little rough this morning, but I'm smiling. Winning cures hangovers." 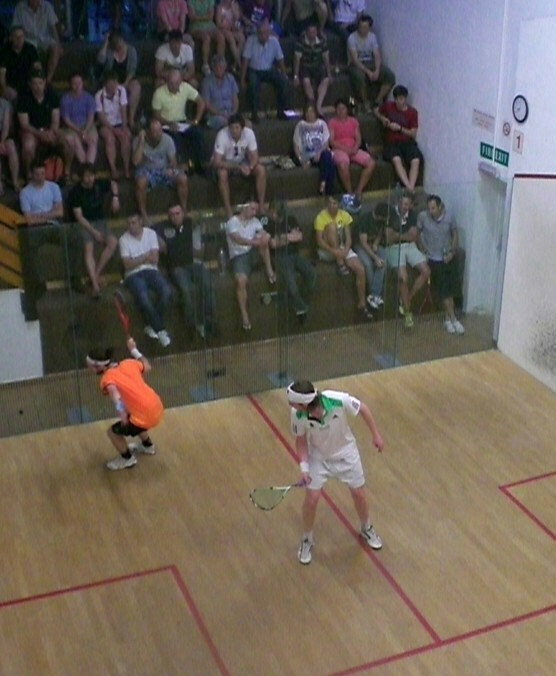 Friday afternoon saw the commencement of the main draw at the Gibraltar Squash Club. Top seed Peter Creed was first to progress as he defeated Ondrej Erti – 'Czech Mate'. He was swiftly followed by Andre Haschker who delighted the German nation following their recent defeat in the Euro's by defeating Hugo Varela of Spain. Next on to court was local student and trainee physio Anthony Brindle. With the home crowd behind him Anthony tried everything against the number 3 seed Geoffrey Demont but in the end he was given a real rubbing down and ended up being defeated 3-0. Overseas veteran and Gibraltar favourite Ben Ford was next to play and with the galleries behind him he raced into a 2 game lead. Unfortunately Fordy's engine began to overheat as he ran out of fuel eventually being defeated by 3 games to 2 by English counterpart Dan West. Also in to the quarter finals were Johan Bouquet (France), Rueben Philips (England), David Haley (Wales) and Arthur Gaskin (Ireland). It was not long until the winners were back on court for their Quarter Final matches on the Friday evening. The winners would find themselves in the Semi Finals of this inaugural event and in with a chance of making the final. The first quarter final saw an all French affair between Johan Bouquet and Geoffrey Demont. After a bucket load of sweat on a sweltering court Johan came out on top thus securing the first semi-final spot. 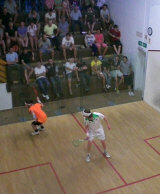 Dan West then succeeded in maximising his court time by battling out another 5 game match in defeating Reuben Philips. Also to join West and Bouquet in the semis were the two top seeds Peter Creed and Arthur Gaskin who had straight game wins against Andre Haschker and David Haley respectively. The Semi- Finals will take place in the Saturday afternoon heat so there are sure to be some interesting contests to come before the evening final and the end of tournament shin dig. On a beautiful summer's day after four days of pre-qualifying rounds Gibraltar's local stars pitted their wits against the travelling multi cultural professionals. In the most notable matches of pre-qualifying the local fireman Christian Navas easily hosed down his opponent to secure the first local spot for qualifying. 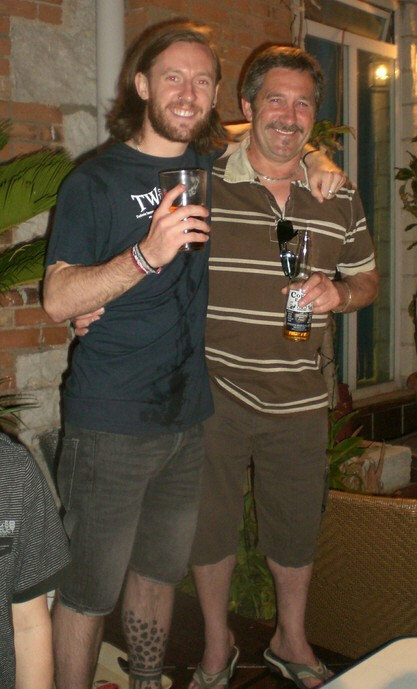 He was joined by seven other local hopefuls who all commenced their destiny into the unknown. First through the qualifying was the Scandinavian Viking Kim Are Killingberg who defeated Richard Jones of the forces who had only just arrived to his accommodation 8 hours prior. Also club overseas favourite Jakob Burnburger thwarted the Gibraltarian progress by defeating the previously mentioned firefighter 3 games to one. Finally Irishman Neil McCarron from up the coast put a smile back on the Irish nations faces by upsetting seed Jonathan Geekie....he thought he new it all! In the second round of qualifying Joe Chapman from the British Virgin Islands defeated the Viking from Norway in a hard fought 3 games. Overseas favourite Jakob then lost to Hugo which could lead to more Spanish success following the Euro result last night. Also progressing were Englishman James Simpson and the Belgium flier Tom De Mulder. We all look forward to the first round of the main competition that commences tomorrow afternoon. With the thermometer set to hit 100 it promises to be a tough and energy sapping day of squash.